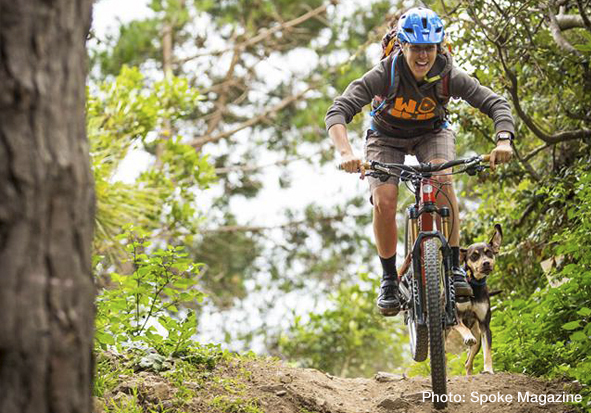 No wonder mountain bike instructor Ashley Burgess has won “Wellington’s favourite cyclist”, as her efforts in encouraging women, girls and kids onto bikes are extraordinary. She is part of and set up bike groups like Revolve cycling, Bike Wellington, WORD Wellington Offroad Riding Department, and Pedal Ready which gets kids ready for cycling. I don’t think we can do without her. This entry was posted in Social & Civic and tagged Cycling, Sport, Volunteers by lauriestarfish. Bookmark the permalink.